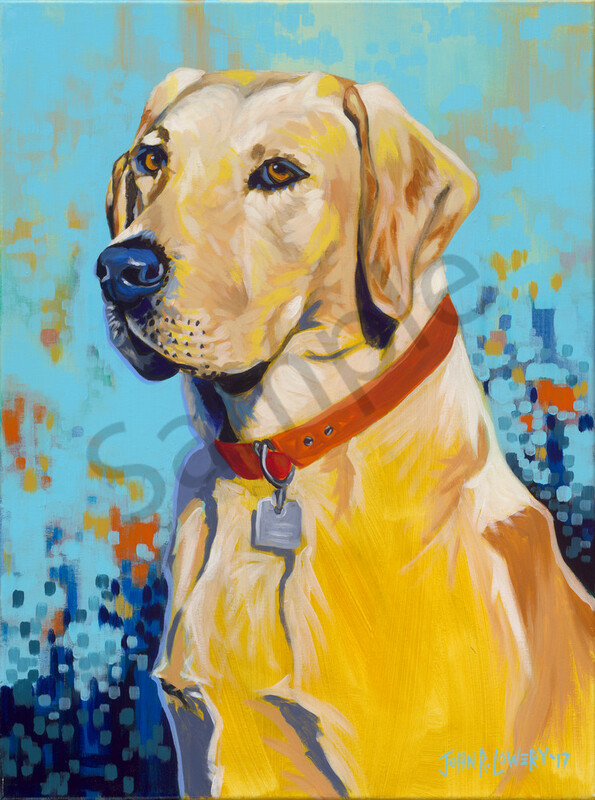 Colorful, modern original painting of a labrador retriever dog, for sale as art prints. This lab looks very stoic here but, trust me, he can also be silly. Due to his regal pose I felt I needed a special background. I really just experimented and it has a mid-century modern feel so, hence the name, Mod Dog. This original painting was a commissioned piece and is not for sale.